Pretty Chit Chat: Bareminerals: Yes or No?! When it comes to powder, I am not the biggest fan in the world. The only time I use powder is for finishing and contouring as I feel like it just makes my skin feel tight when it's applied a lot and heavy which is not a good look. The reason I bring it up is because my sister loves Bareminerals. Now I cannot stand the thought of putting 10 layers of powder on my face as it just makes face feel tighter and dry just thinking about it! But when I did try it, I use it as a finishing powder and I was pleasantly surprised?! It really helped my make up keep through out the day and it is such a soft powder to go on top of my foundation, not on heaven on my highlight though as that needs a translucent powder. It is a little on the pricey side but it lasts quite along time if you don't go crazy with it! 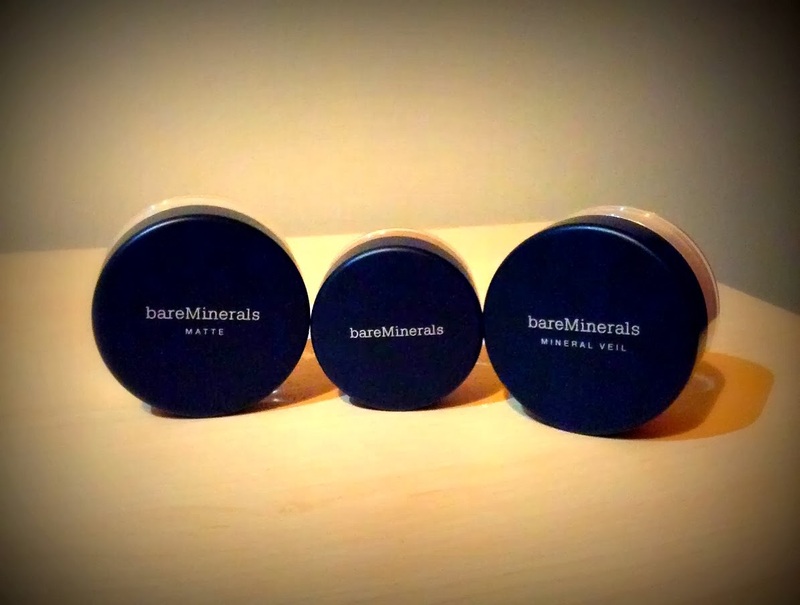 Another product I have from Bareminerals is their all over colours. I have one called 'Warmth' which is a really deep Bronzer but is quite a matte colour has it has no shimmer. I like this but be warned, you only need the tiniest bit on your brush I'm order to get colour. It may not look like there's much on the brush at all but do not be fooled as I have ended up blending for at least 5 minutes before, just to get that contour subtler! I don't think bareminerals is for everyone, but if you like the lighter coverage then I would suggest it but I definitely think you should go get matched as I think there colours aren't amazing. So over all... It's good as a product, just only as a finishing powder, not as full face! But each to their own! Hope you're all having a great week and don't worry as the weekend is nearly here! My friend loves that stuff and has been trying to convince me to buy it! Like you, I fear it will dry out my skin. I'm happy to see this post because now I might give it a try as my top coat over my foundation! well i'm glad that my post helped you :) i personally do feel that it is dry on my face, i like the idea of it but i'm not going to say its amazing when i personally think its average lol! i do like it as a finishing coat! I use to love Bareminerals until it made me break out really bad. This was a few years ago and maybe they changed their formula but ehh.. not willing to waste the money to re-try their products :) But that's just my opinion. I use powder foundation a lot and I highly recommend No. 7 Mineral Perfection! I've nominated you for the Liebster award, please see my blog to get involved!